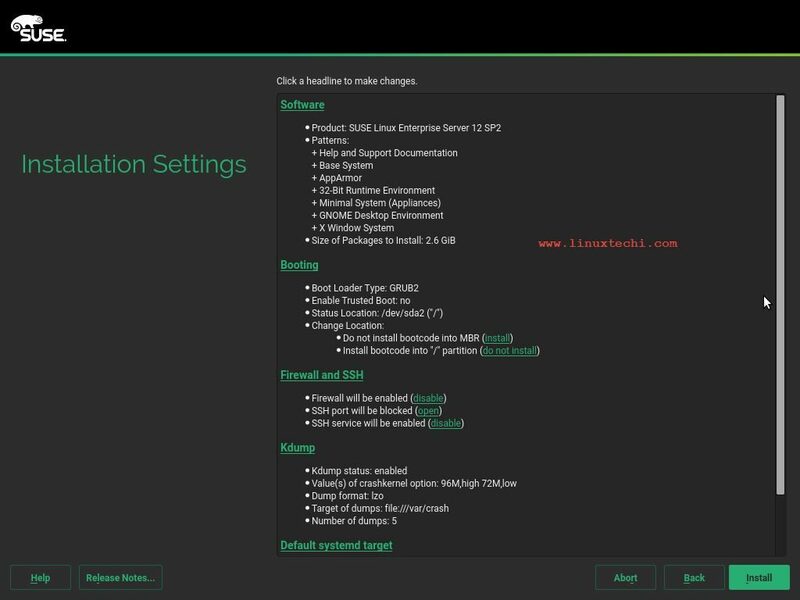 SUSE is one of the top world class and secure open source server operating system, built for maintaining workload management and optimization at the enterprise level. It is scalable and allows users to efficiently deploy IT services across a variety of environments. 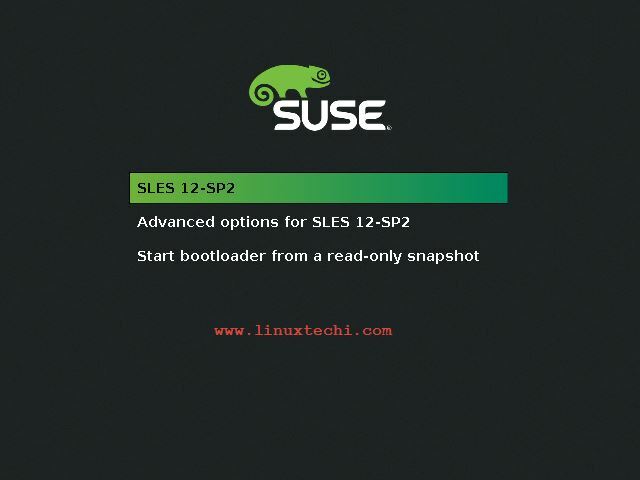 The Main advantage of adapting this SLES is it will help many organisation to accelerate innovation,increase system reliability,maintain security compliance and enable new technologies under one overarching operating system. Prevent downtime with high availability enhancements including an easy to use interface and improved geo clustering support. Makes your infrastructure more efficient and secure with faster data access, increased database performance and optimized SAP applications. It Supports data transaction and workload size growth for very large HANA workloads on POWER using extended virtual address space. Increase database performance with enhanced NV-DIMM (Non-Volatile Dual In-line Memory Module) block device support. Installed on platforms including x86, AMD64/Intel64, System Z, IBM Power, 64-bit ARMv8 and Itanium editions. 5 GB HDD for OS Installation. 16 GB HDD for OS snapshot and Rollback. 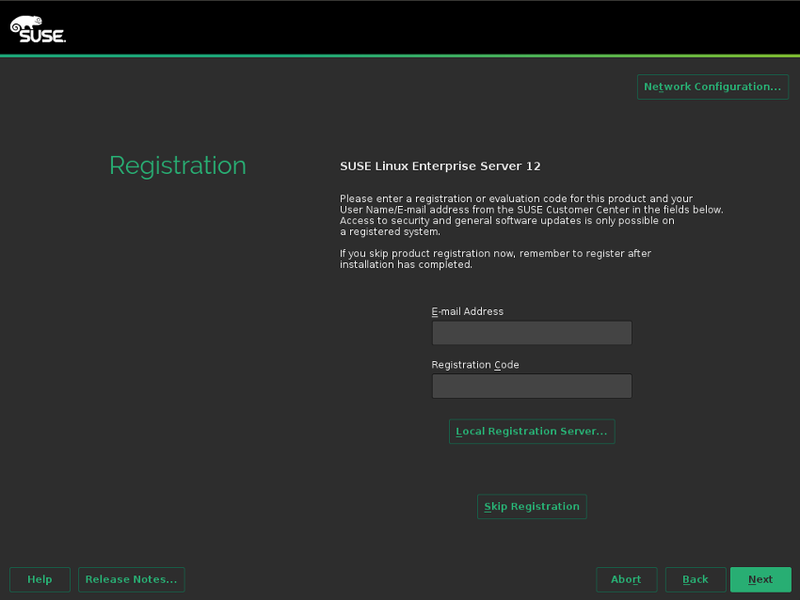 You will get 60 Days trail version of SUSE Linux Enterprise Server, after the evaluation period we need to purchase its License. Once the ISO file is downloaded, burn it either into DVD or USB drive. 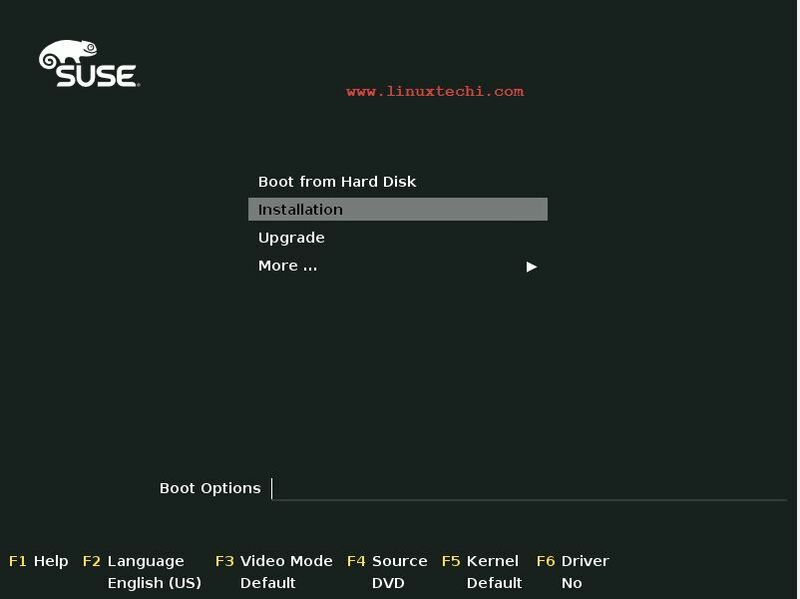 Step 2: Now Boot your system with the bootable media whatever you created in above step, after that we will get the below installation screen, select the “Installation” option and press enter. 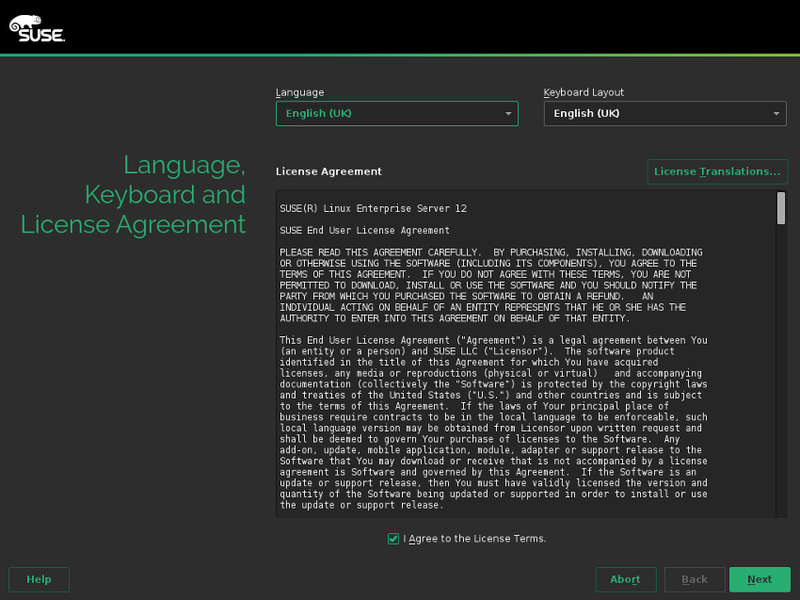 Step 3: Next select your preferred Language and Keyboard Layout and then accept the License agreement. 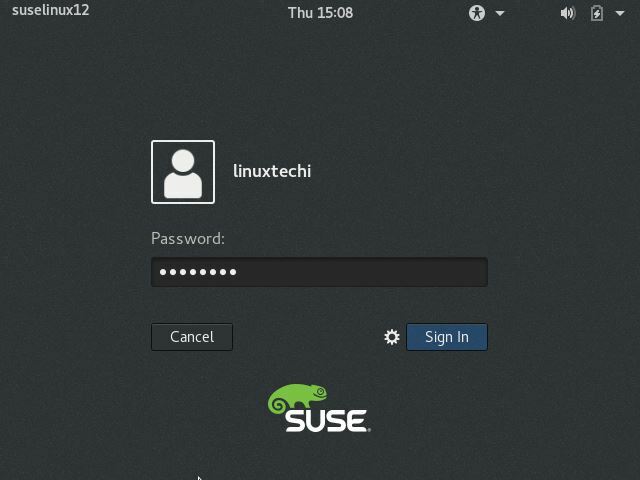 Step 4: In this step you can register your system with SUSE for latest patches, updates and support. If you want to go for evaluation then select the “Skip Registration” option. 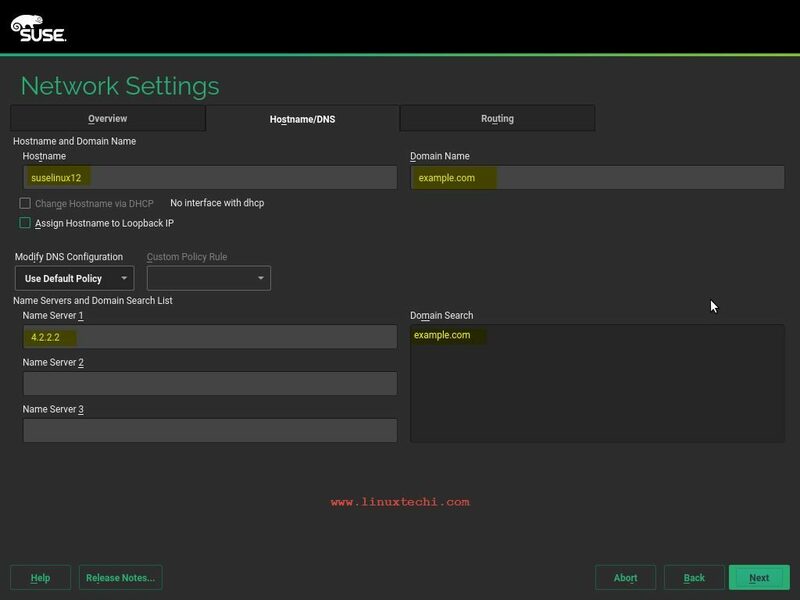 Step 5: This step is optional, if you want to configure networking then click on “Network configuration” option. 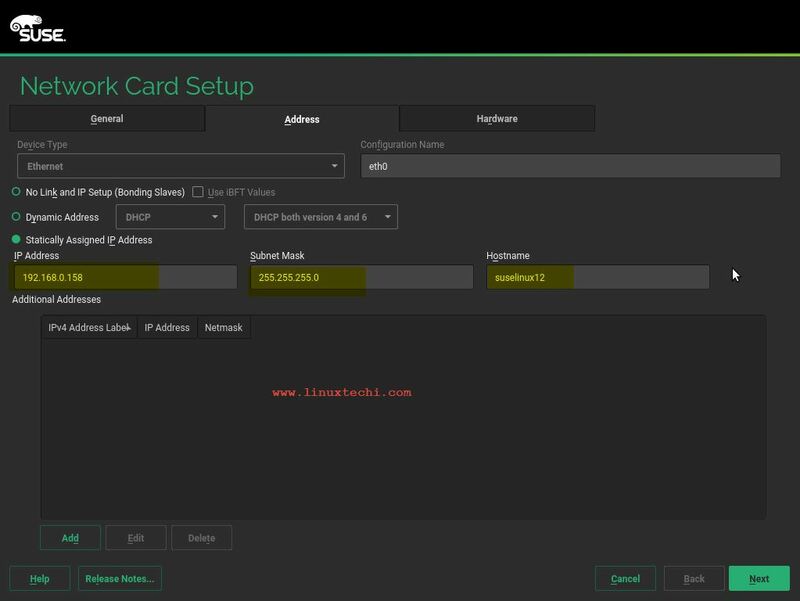 In the Next Window Select the LAN Card and Click on Edit. 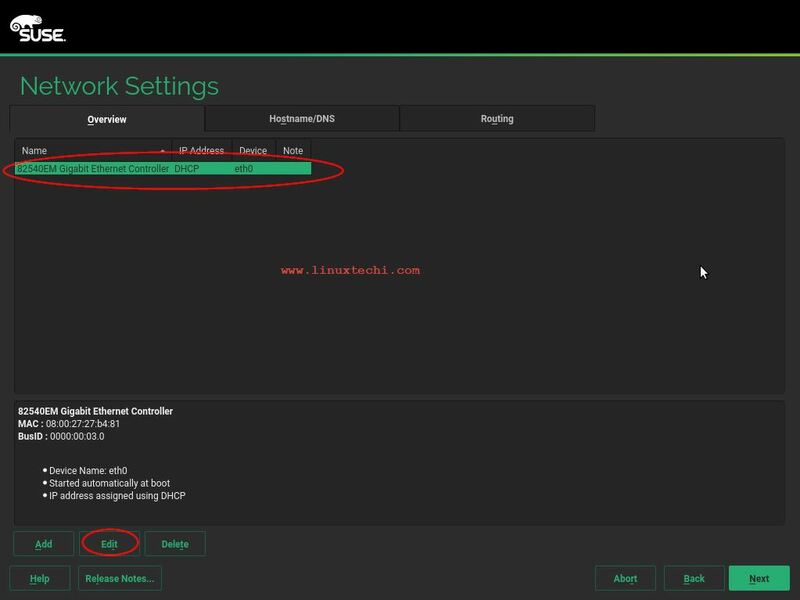 You need to assign the Static IP address and Hostname as per your setup. Click on Next and Select Hostname/DNS Tab and mentioned the Hostname, register domain name and DNS servers IP address. From the Routing Tab, Specify the default gateway. 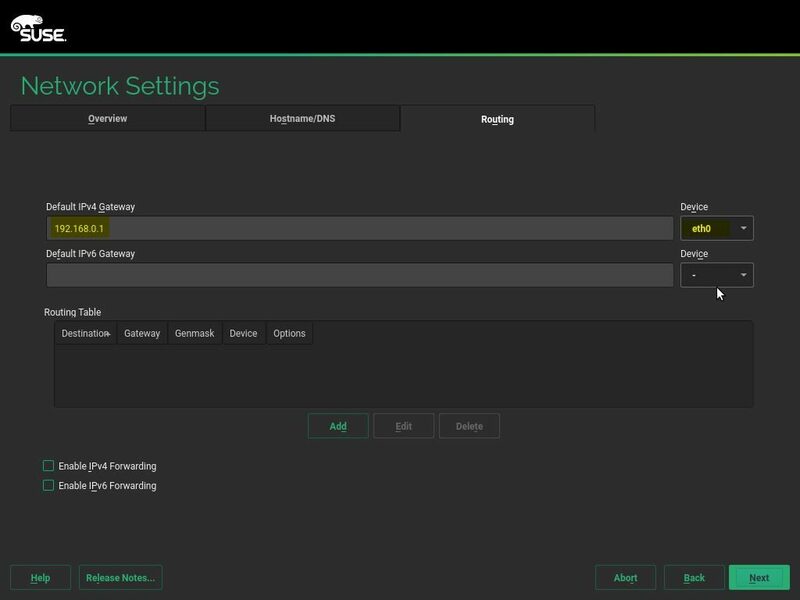 Click on Next to save the network configuration. 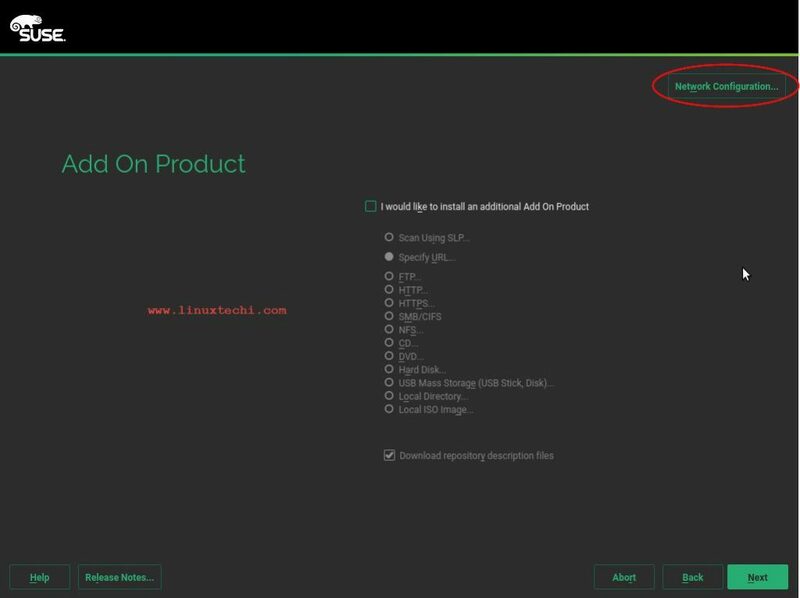 In next windows select the additional product that you want to install during installation and else click on next to start the Installation. 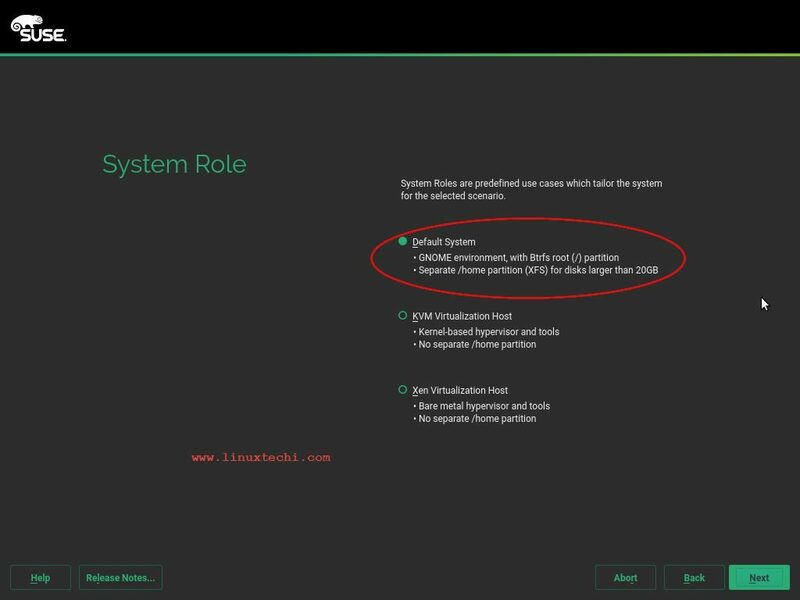 Step 6: At this step you have to specify the system role , means how you want to install the system, as we can see there 3 options, so select the option that suits your requirement. In my case I am going to select the “Default system” role. In the next screen a suggested partition scheme will be displayed, if you want to go with default suggested partition scheme then click on Next, else select other options like “create partition setup” or “Expert Partitioner..” to create customize portioning table, and Click on Next to proceed further. 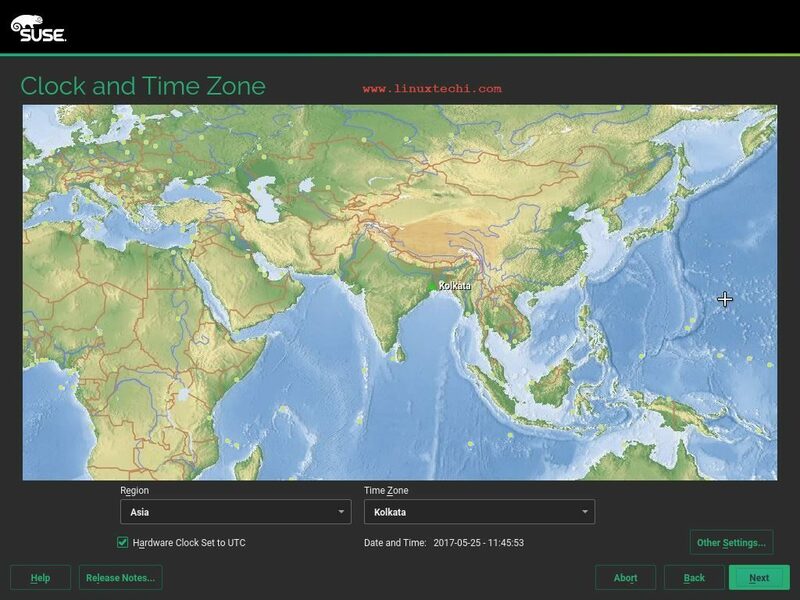 Step 7: Now you need to select the preferred time zone. Step 8: Create a local user. 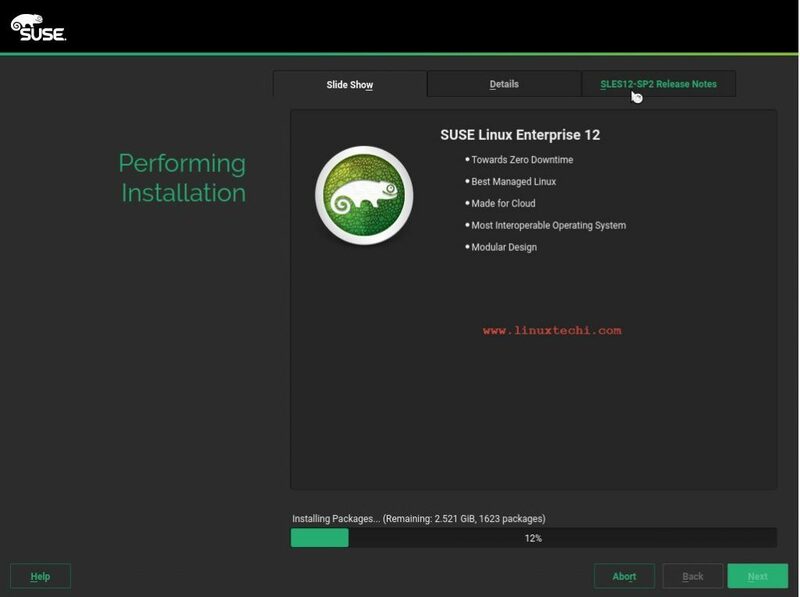 Step 9: Cross verify the installation settings and click on install to begin the installation. 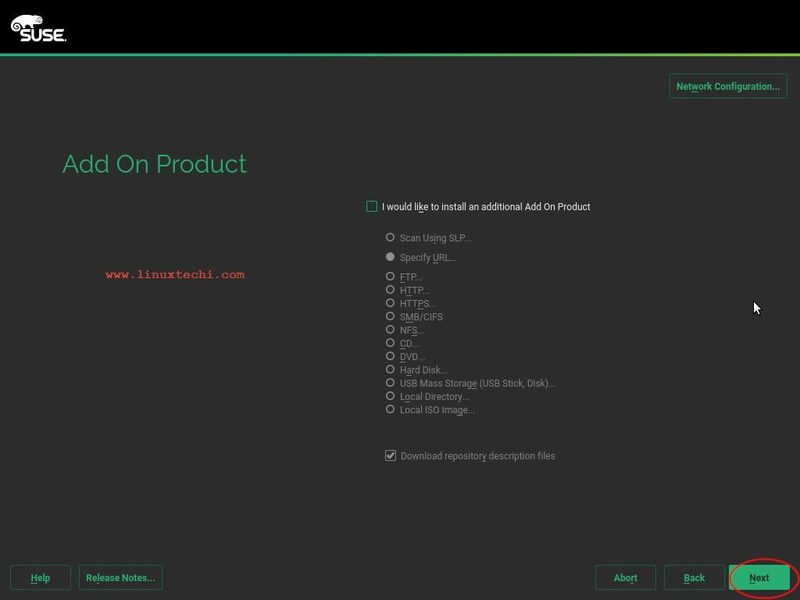 Once the installation gets completed, installer will automatically reboot the system. Step 10: Start and Login to your System. 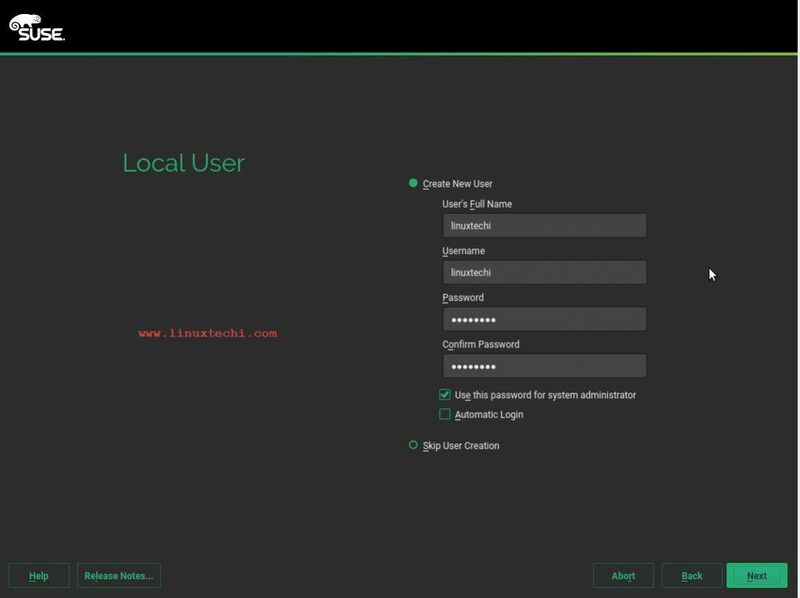 Login to the System with the user credentials that you have created during the Installation Process. 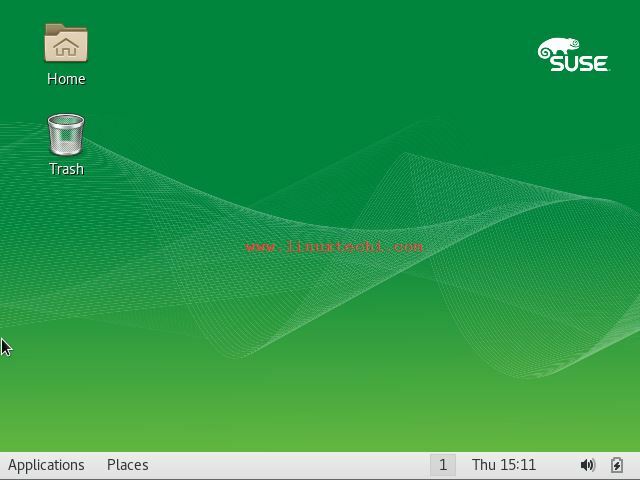 After Login successfully you can see the home screen as shown below.